A Coal Tar Pitch roof system consists of multiple plies of felt with interplies of Coal Tar Pitch, then embedding gravel in a floodcoat of Coal Tar Pitch. Many roofers who have been in the industry a long time believe a coal tar pitch roof system is the best system ever, because of its self-healing properties. You can have a leak one day from a hole and then on a hot day, coal tar pitch becomes soft and will flow into or over the hole or leak without any effort or expense to the owner. Coal Tar Pitch has many advantages. It is designed for flat roofs with no slope and is immune to ponding water and many chemicals. While most roof designs have changed, it was not uncommon 50 years ago to find a Coal Tar Pitch roof designed to hold as much as three inches of water. Water was put on the roof to keep it cool so it wouldn’t flow. Coal tar is a long lasting roof and can be maintenance free for up to 50 years. How do you know if your existing roof is Coal Tar Pitch? First, if you have gravel embedded in an asphalt-like substance, this means you have either an asphalt built-up roof or a Coal Tar Pitch roof, now just determine the difference. A Coal Tar Pitch roof will usually have lots of small black bumps where the Coal Tar expands on a hot day and bubbles up. A built-up roof can have these too, but less prevalent. On a hot day, some of the bumps will have a shine where they have opened up due to flow. A Coal Tar Pitch roof will also have several areas where you can see it has flowed over or around the gravel. Pitch dams will be installed at drains and scuppers. These are saw-toothed metal guards designed to let water through, but minimize the flow of the Coal Tar Pitch. Built-up roofs can have these too, but less likely. You may have flow down the side of the building, over the edge and heavily into drains. You can distinguish by smelling it, if you have experience to know the difference between asphalt and Coal Tar Pitch. You can call an experienced roofer who can identify it. While a Coal Tar Pitch roof system is more expensive, there are times when building slope into a system is cost or design prohibitive. 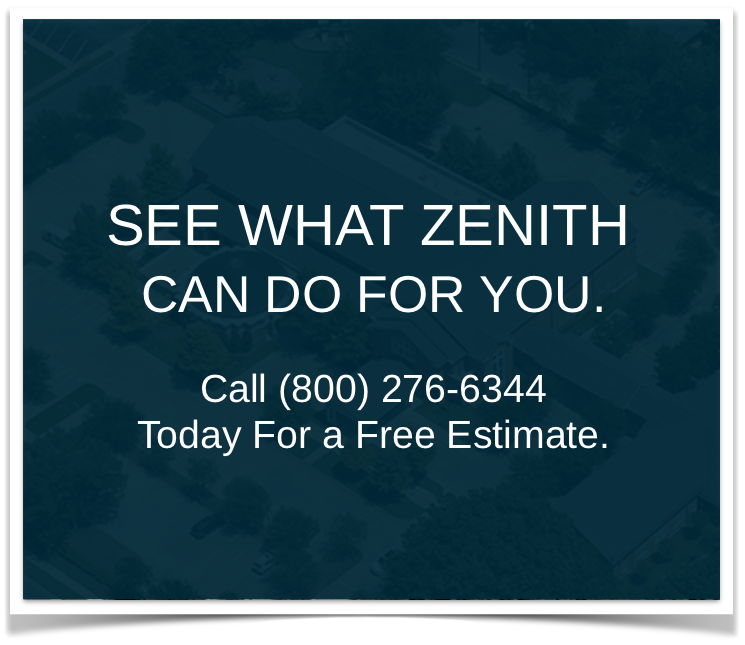 Zenith Roofing installs Coal Tar Pitch roof systems to this day and is one of a small group of certified contractors that has both the experience and knowledge to install this type of roof system. For more information on coal tar pitch roof systems, please call us at 1-800-276-6344.